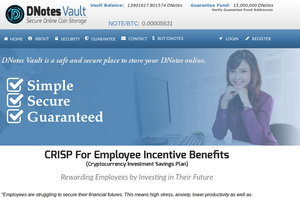 Bitcoin Press Release: Backed by the Diamond Foundation and an array of price stability mechanisms and professional services, long term valuable digital currency DMD is a stand-out in an increasingly crowded digital currency space. DMD is soon to celebrate its second birthday. With almost 2 years of ongoing development, Diamond Coin’s philosophy is to create long term stability through sensible management and an ever expanding network of supporting services. Diamond Coin strives to be a stable and secure digital currency with 50% interest annually and advanced security protocols and algorithms. The team’s unique approach overcomes challenges like inflation control, price volatility, security and sustainability by incentivizing holding rather than spending. Diamond Coin’s future plans involve an entire ecosystem of Bitcoin 2.0 decentralized services with an increasing spectrum of digital currency financial instruments. DMD stake holders are automatically eligible for 50% interest per annum in a straightforward process known as “minting”. 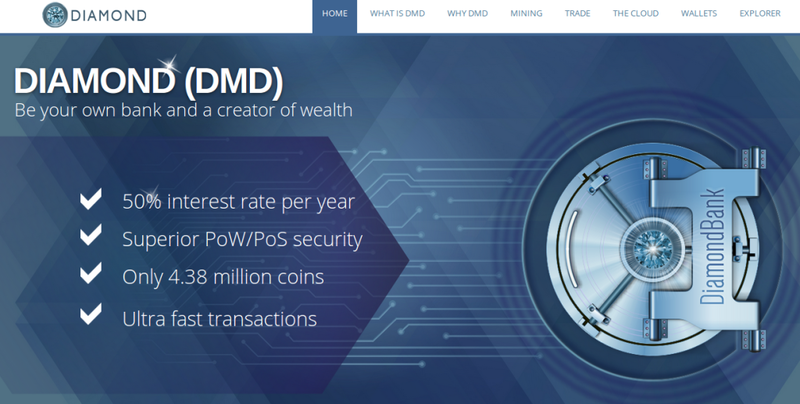 When minting the DMD adopter obtains some coins, and holds them in the Diamond Wallet for a given period of time which in turn generates new coins. Minting withdraws the DMD from the supply chain for staking, contributing to price stability, as well as securing the network through improved Proof-of-Stake technology.In order to control DMD inflation and bring it in line with the annual rate of physical gold extraction, minting rewards will be successively reduced over the coming decades. The early adoption period for Diamond Coin has been set to last for a few years; a time frame that is uncommon in the digital currency industry. This requires a long term commitment that will translate into a slow but cumulative effect of organic growth. Such a model is also a pledge on behalf of the DMD developers to think strategically and long term.To deal with price volatility the Diamond Coin ecosystem currently has two key mechanisms to help ensure the value remains stable. The first is the Diamond Multipool that allows participants with their own computer hardware to mine currencies with almost any algorithm and receive DMD in return. The second service Diamond Cloud Mining enables anyone to collectively mine BTC in the cloud and convert this into DMD payouts. The system has proven to be adaptive, sustainable and rewarding for its participants. The Diamond Coin Foundation developers treat network security as a continuous challenge that needs to be addressed and developed to remain a step ahead of potential security threats. Improvements in protocols and software optimizations provide a streamlined client for the end user. Employing a Hybrid Security of two separate protocols working in tandem is the cornerstone of Diamond Coin’s security. To further strengthen security Diamond Coin implements ‘Reactor’, a protection tool that provides the benefit of additional safeguards along with the price stability mechanism of Diamond Cloud Mining.